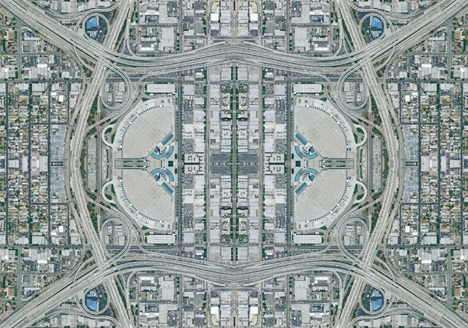 Forget area rugs with ugly floral patterns or mesmerizing paislies – David Hanaeur‘s Worldwide Carpets feature real-world pictures of our planet straight from Google Earth. The fascinating floor coverings bring to mind the intricately woven rugs of past generations, which told stories in pictures and were handed down in families for generations. But these rugs tell a much different story: one of technology and the always-open eyes of Google. Hanaeur, a design student at the Academy of Media Arts and Design in Germany, created these pieces in order to take back a part of the world that once was his alone. 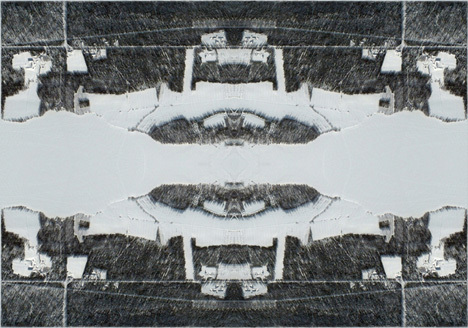 It has now been shared with the rest of the human population via Google’s all-seeing aerial cameras – so the designer decided to put his own personal spin on this impersonal photographic sharing. The images Hanaeur uses are surprisingly intricate and lovely. 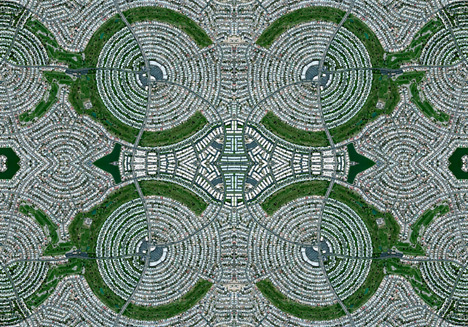 The endlessly uniform neighborhoods, the huge looping highways, the bland but somehow fascinating parking lots – all become fine art when mirrored, manipulated and man-handled by the designer. 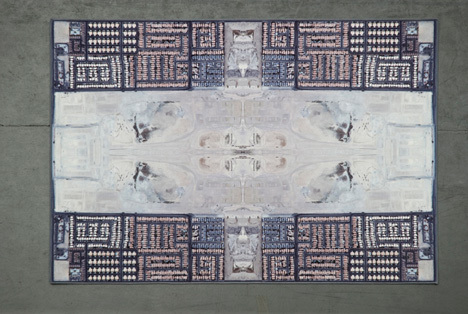 Some of the Worldwide Carpets have sold for hundreds of dollars, and Hanaeur sells them on his website, where he says he can produce them as single images or as tiled whole-floor installations. Imagine how cool it would be to walk into your house and immediately step across an aerial image of your neighborhood. We love the crazy meta feel of the concept.